Lisbon might not be as popular as Rome, Paris or London, but it’s rich with culture, architectural beauty and history. The capital of Portugal is built on seven hills and has a lot to offer to visitors. And it’s much more budget-friendly than most of Europe’s capital cities. Take a stroll along the historic, tree-lined Avenida da Liberdade, stretching from Pombal Square to Restauradores Square. Or jump on a tram for a scenic ride to the neighborhood of Barrio Alto. Be sure to spend some time at the stunning Rossio Train Station and its remarkable horseshoe-shaped doors, and don’t forget to visit the world-famous Azuelo Museum. Also known as the Tile Museum, it has a mind-blowing collection of gorgeous tile panels. If you tire of sightseeing, head to the village of Costa de Caparica, just outside Lisbon. This relaxing destination features miles and miles of gorgeous, unspoiled beaches. Consider spending the night—there are plenty of good hotels in town offering inexpensive rates. 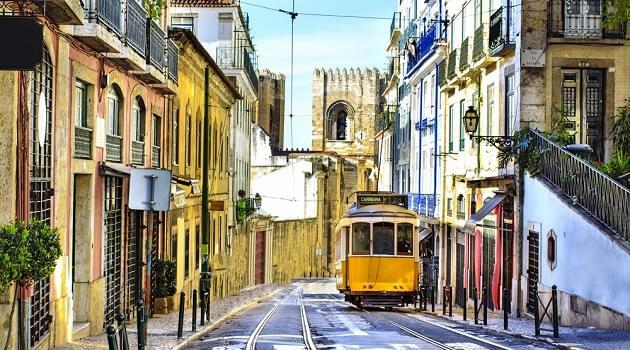 Airlines from all three of the major alliances fly to Lisbon, so you can get there with whatever miles you have in your coffers, even during the peak summer season. British Airways levies substantial fuel surcharges on flights from the U.S. You can save hundreds of dollars by flying on American Airlines to London, and then British Airways to Lisbon. United Airlines and TAP Portugal offer nonstop flights to Lisbon from the U.S. Both depart from New York (Newark). Aer Lingus is not a Star Alliance member, but it is a partner with United. It flies to Lisbon via Dublin. Economy class award tickets to Lisbon cost about the same on all of the alliances, except for American Airlines’ off-peak awards. 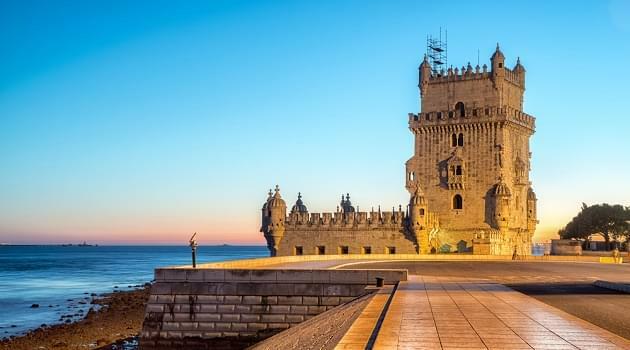 If you can fly to Portugal between October 15 and May 15 using AAdvantage miles, you’ll save at least 20,000 miles. Otherwise, the best option would be to fly nonstop from the U.S. on United or TAP Portugal. If you’d prefer to fly in a premium cabin, oneworld offers the best rates, albeit with a layover or two.